Your coins are part of one of the oldest, largest and popular hobbies, coin collecting. The following coin resources can add to your understanding and enjoyment. Whether your interests are values, your coins potential as a collection, or if you decide to sell. Each of these sites has their own specialties and expertise. A leading auction and coin firm established in 1979. Known for specializing in certified coins, currency and stamps. Worth a visit to experience and view rare coins at auction, as well as an extensive inventory and research material. You have taken good care of your old coins over the years. The discovery is some of these are surprisingly valuable, such as the silver coins. And there is always a thought, perhaps one of your suspected better coins, because of subtle grading points, is a really scarce example. Now an objective opinion from a respected dealer is to your advantage. Someone who will separate out these "better" coins. There are dealers, many are specialists in certain series, who understand your position and whose intentions are to politely guide you in the right direction of receiving the best value for your coin. The Professional Numismatists Guild - PNG an organization of vetted reputable dealers is a good place to start in your search for help with buying, selling and assessing value. From this group of well-regarded dealers is someone in your area with your best interests in mind. Search by state for dealers close by, viewing their profile info you can decide on one whose expertise matches your needs. Well worth the effort to find a good match. PNG is doing a great service bringing together like minded professionals who understand the importance of ethics within the coin collection hobby. Grading the condition of your coin is in many ways a very precise judgment and at the same time a very subjective one. Consideration is made to the amount of wear - or absence of wear, quality of luster, severity of nicks, overall eye appeal, originality of surfaces, and more. Each of these has an impact on value. Realize the scale of value that grading influences. Grading a 1936 Buffalo nickel whose value difference from "good" to a nicer "fine" condition is a few cents - not as critical as understanding the subtle differences involved with high value coins. Whereas accurate grading on high value coins often involves hundreds of dollars. To a coin collector your "box of old coins" has within many possibilities. Let's use the Lincoln penny to illustrate. 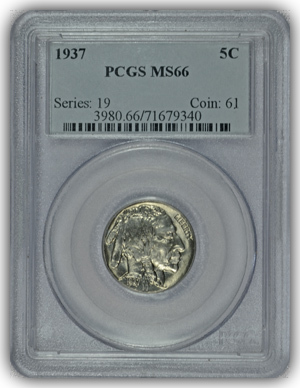 Does your group hold any of the old "wheat" reverse cents? Take a critical look at these and pick the nicest, set it aside. Now from your pocket change choose a well preserved "memorial" reverse cent, it is also a retired, obsolete design, place it with your wheat example. Next look for today's current "shield" reverse penny, you may not have one yet, it makes for an exciting find. 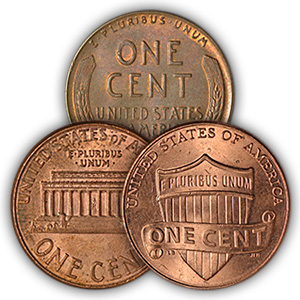 Once found it completes a "design type" collection of the Lincoln cent, these three coins represent the major changes since the beginning of the series starting in 1909. From your box of coins has emerged a collection. Many collectors have entered the hobby because of a spark of interest, a circulation find Buffalo nickel, inherited collection, the State quarters series. As a collector's interest in collecting grows they begin their study into coinage and its history - numismatics. The place to visit and start is... The American Numismatic Association all levels of interest or expertise is served here. Returning to the Lincoln three coin design type set above. One evolution of the set is each coin is represented by the first year of design date. A 1909 Wheat, 1959 Memorial and the 2010 Shield. Additionally select a set of coins and strive for a condition up-grade - all coins uncirculated - resulting in an impressive type collection.